- 10 Strings Harp with Tuning Key&Bag Mahogany Body Musical Stringed Instrument. 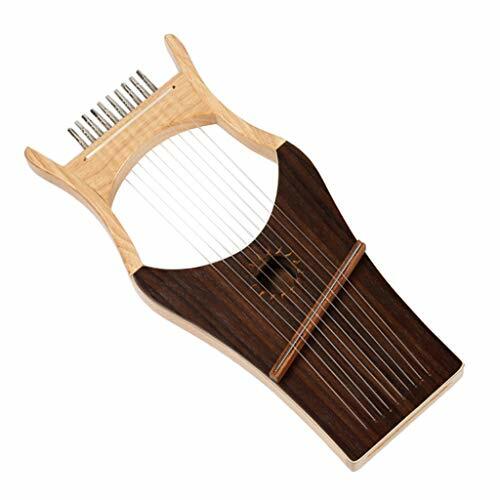 - Beginner 10 string harp kit with tuner and carrying case. - Handmade and hand polished mahogany body. - Lightweight and portable, perfect for learners practice. 10 Strings Harp with Tuning Key&Bag Mahogany Body Musical Stringed Instrument. Beginner 10 string harp kit with tuner and carrying case. Handmade and hand polished mahogany body. Lightweight and portable, perfect for learners practice.